Submitted Photo The Brownie Troop 20049 of Silver Creek recently visited PetSmart Employee Nadine, who taught the girls about various animals. 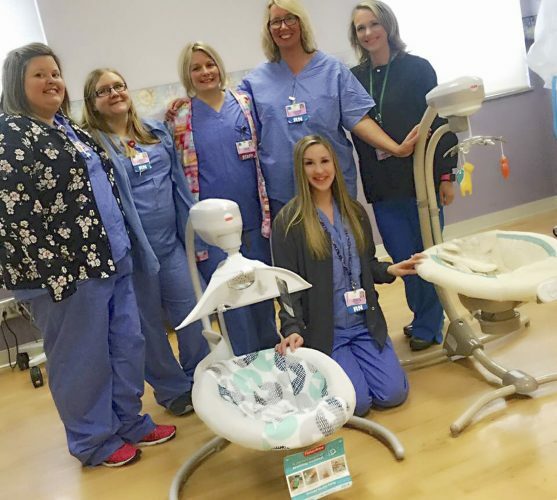 Pictured in the back row, left to right: Nadine from PetSmart, Isobel, Maddy, Emmie, Abby, Eliza, Lexi, Bella, Isabella and Courtney Thompson from Forestville veterinary clinic. Front row, left to right: Brooke, Alexis, Gianna, Leah. The dog is Daisy. 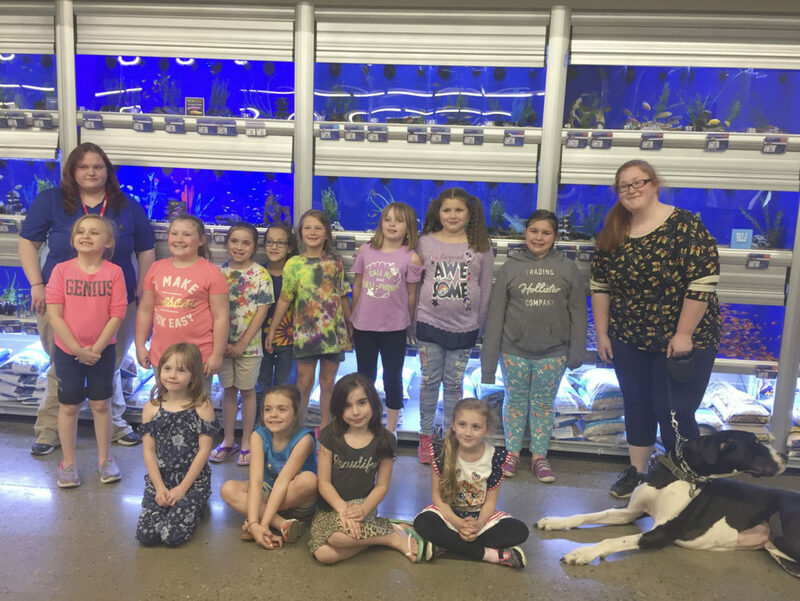 Brownie Troop 20049 of Silver Creek recently visited PetSmart. Employee Nadine taught the girls about a few different animals, their habitats, what they eat and how to care for them. The animals which were discussed included a snake, bearded dragon, tortoise and a gerbil. Then Courtney from the vet’s office taught the girls about basic animal care for fish, cats and dogs, as well as how to approach and not approach pets they see in public. If a dog is wearing a pink bandana, it’s friendly. A red bandana or service dogs are not to be touched, and a yellow bandana means caution, the dog is not always friendly. This was just 1 of 4 parts the girls had to complete to earn their pets badge. They have also made blankets for dogs at the Humane Society and toys for the cats. The girls collected donations for the Lakeshore Humane Society until June 6. The girls are first year Brownies. This year alone, they have earned 9 patches. Troop 20049 is led by Janine Schumaker, Kelly Plucinski, Kristen Cook and Stefanie Doner. The girls also participated in the Memorial Day parade in Forestville on May 28.